While the TCMSV2 offers wired communication methods such as TCP/IP and Serial Port, there will be situations where a USB flash drive is required to transfer data from the terminal to the software and vice versa. A place where there is no wired communication facility or if your network is down due to a server or router issue are some examples of situations where a USB flash drive data transfer is required. This feature is available for all FingerTec Models (except AC900). By using a USB flash drive, transfer of data is more manual and there are no more worries of network connection loss and failures. USB data transfers are secure as it does not rely on network connections or wirings and cables. The data in the flash drive can also be kept as backup. Please refer to the link below for the list of renowned USB flash drive brands that can be used with our FingerTec terminals. 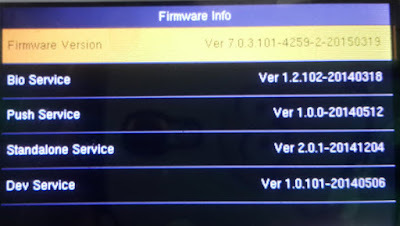 Check the firmware of the FMM terminal. Go to your terminal >Select Menu > System Info > Firmware Info > Ensure that the firmware version is 4259-2-20150319 or above. 3. 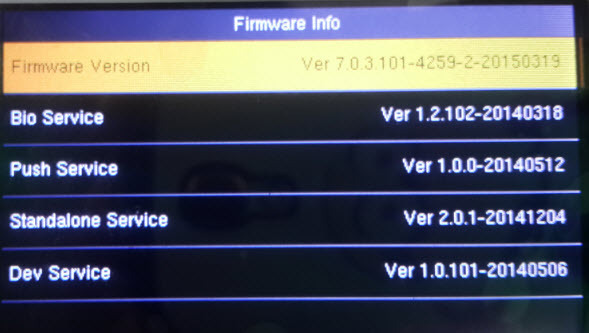 If the firmware is older than the version mentioned above, kindly update the firmware of your terminal by contacting your reseller or Fingertec support at support@fingertec.com. latest version must be v2.2.027 06-08-2015 and above. Note: If your TCMSV2 version is outdated, please download the latest ft.exe here. With regards to your query, can I know is there any error during read the data using USB to the software? This issue happen after you update your net framework? For further discussion, you can forward your query to support@fingertec.com and we can discuss this with more details. 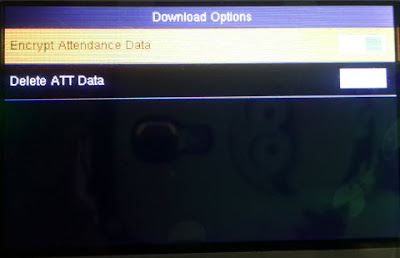 I am not able to download attendance logs from terminals even our network is up and connected to terminals. it initially starts downloading for some employees then stuck and never completed. With regards to your query, please check on your software version, and make sure your software is updated. After that, you need to uninstall the software from Control Panel, and install the latest software version as above. Then, you may try to download attendance log from the software and please do not hesitate to contact us at support@fingertec.com if you still facing the same issue.